Governor Kay Ivey proclaimed May 7-13, 2017, as Correctional Officers and Employees Week in Alabama at a ceremony held at the State Capitol on May 3. 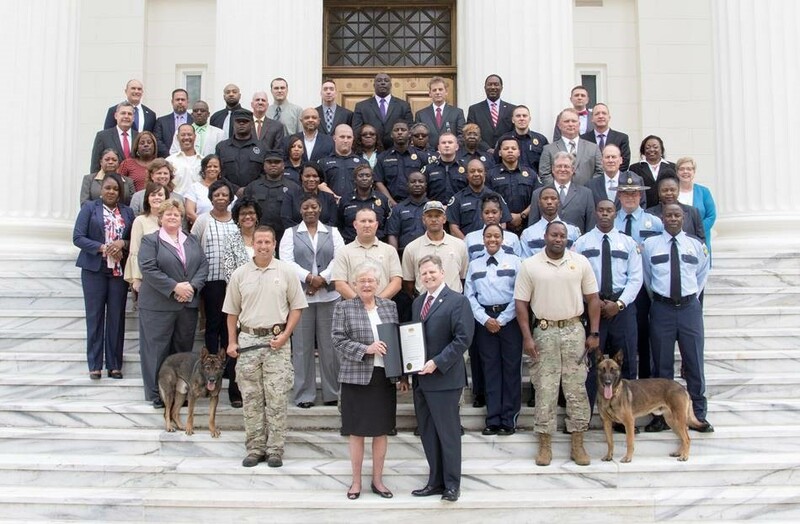 In keeping with the tradition established by President Reagan, Governor Kay Ivey honored the state’s correctional officers and corrections employees by proclaiming May 7-13, 2017, as Correctional Officers and Employees Week in Alabama. Governor Ivey presented the proclamation to Corrections Commissioner Jeff Dunn and members of the Alabama Department of Corrections during a ceremony held at the State Capitol on May 3. In the proclamation, Governor Ivey commended correctional officers and employees currently serving in the ADOC and those who have given their lives in pursuit of an honorable profession. The Alabama Department of Corrections employs a diverse workforce of more than 3,000 people serving as correctional officers, supervisors, healthcare professionals, chaplains, counselors, educators, and support staff.